El tema "Anyone for tennis" interpretado por Cream pertenece a su disco "The very best of cream". 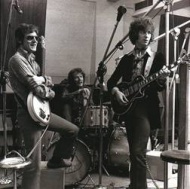 Ahora puedes escuchar y aprender la canción "Anyone for tennis" de Cream. and the bentley driving guru is putting up his price. anyone for tennis, wouldn't tht be nice? Escuchar Cream Anyone for tennis Lyric Video.